For those who do not know, Clutch is a ratings and reviews website based in Washington DC for companies that provide an array of services. Clutch analysts conduct reviews of past and present clients over the phone of the companies on their site. After all the research is collected, the analysts conduct extensive market research to rank businesses against their competitors. “Many of the best B2B providers in America call Chicago home, so inclusion as a leader for any local industry segment is a mark of distinction,” said Clutch Senior Business Analyst Sara Philibotte. In addition to our ranking on Clutch, we were mentioned on their sister-site, The Manifest. This website publishes business news of industries and conducts statistical surveys which help inform clients and other businesses. 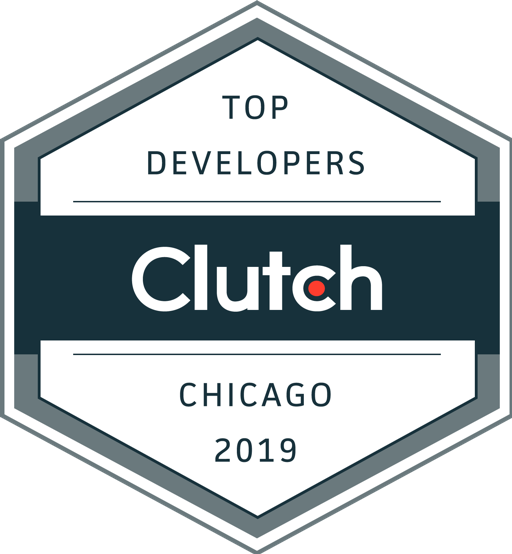 We are so happy to be ranked as one of the leading software developers in Chicago on this site, as well as show off our portfolio of work on the newly-launched Clutch sister site, Visual Objects. There are constantly new trends influencing the digital world, but there are some eCommerce trends that are essential for businesses to master in order to stay ahead of the competition. As local development leaders, we are so excited to be partnering with Clutch because their passion for providing transparent client feedback is important to us. We can’t wait to read more of our Clutch reviews on our profile in the future!